Slitting machine is mainly used for slitting a metal sheet, such as sub-section steel, stainless steel, copper. Which is mainly used for the steel plant, rolling mill home, automotive, stamping parts and so on. 1. 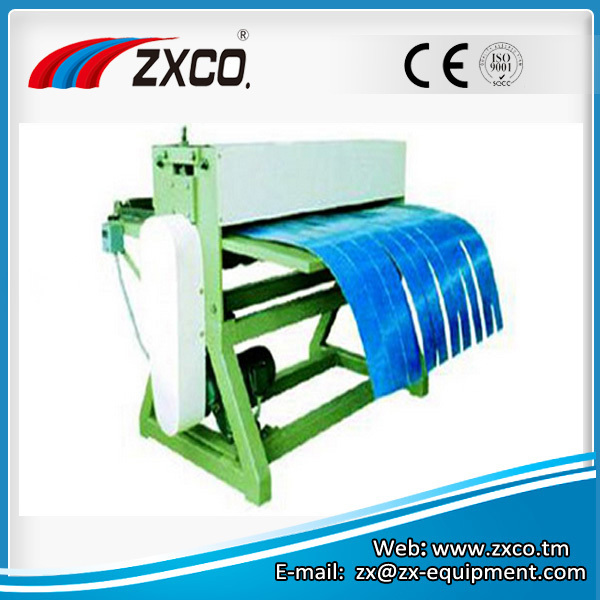 Work material: Cold rolling steel, colored coiled plate, acid picking coiled plate which δb<=450Mpa δs<=260MPa. 2. Material thickness: s=0.40 - 2.5 mm. 4. Slitting tolerance: width difference: +/-0.10 mm (when thickness 0.5-2.5mm). 5. Slitting tolerance: Linear 0.2 mm/m. 8. Decoiler load: 10 Ton. 9. Original coil inner diameter: Dia. 500-700mm. 10. Original coil outside diameter: <=Dia. 1400mm. 11. Product coil inner diameter: Dia.600-800mm. 12. Product coil outside diameter: Dia.1400mm. 13. Product coil load: <=10 tone. 14. Min. product width: 60mm. 15. Slitting quantity. : 0.4-1.0 mm thickness - 20 pcs. 1.5-2.5 mm thickness – 18-10 pcs. Number of slitting blade 15 pcs. (depend on customer requirement). Material of slitting blade: 9CrSi; Hardness of blade: HRC58°-60°. 16. Total power of motor: About 15,2 KW. 17. Total weight: 5.3 tone. 18. Area needed: 20000x8500mm (length x width) (around).